The holidays are approaching quickly and with that comes concerts, decorating, baking and shopping for gifts. It seems like the days get infinitely shorter as we try to cram more and more activities into each day. Given that it’s such a hectic time of year, it’s only natural that businesses must work harder to stay top of mind with customers. 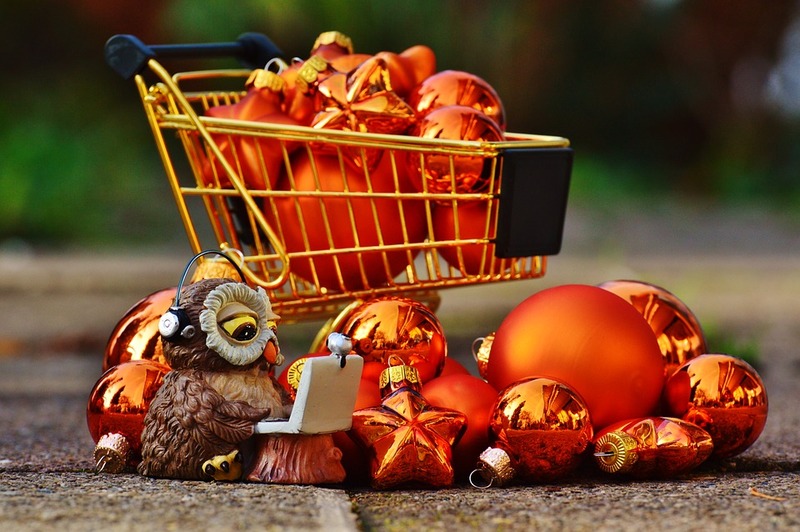 Give it some thought, however, and engage with your customers in a joyful and holiday-focused way and your business should have no problem staying connected. 1. Offer a customer referral program. Satisfied clients make excellent brand ambassadors, so why not encourage them to spread the word? Offer a reward for client referrals and personally thank clients for successful referrals. 2. Send your customers and prospects a holiday card. You already have a mailing list for your clients, so why not reach out to them directly? Send a card in the mail or an email greeting, thanking customers for their continued patronage and wishing them a Happy Thanksgiving, Happy Holidays or Happy New Year. Direct mail, while often overlooked in favor of email, is still one of the best ways to reach customers. Consider sending mail that stands out, for example in red or green envelopes at Christmas and orange at Halloween. People generally display holiday cards in their homes, offering multiple opportunities for visibility. 3. Keep in contact via an e-newsletter. Email marketing works. One of the most cost-effective ways to reach your customers and prospects is to send an e-newsletter. In 2015, email accounted for more than a quarter of all online sales on Black Friday. The key to spurring customers to open your emails and click through to your website is to create enticing subject lines and use powerful calls to action. Recognize customers who successfully refer clients to your business in the e-newsletter. 4. Connect through advertising. An integrated advertising campaign— using both print and digital ads— is often the best approach to leverage the strength of both platforms and capture a wider audience. Print ads guarantee a specific audience circulation, but digital ads have better audience tracking capabilities to help evaluate the success of your advertising program and shape future efforts. Using both print and digital advertising can be more cost-effective and targeted if you choose the right mix. 5. Donate to a local charity. Maybe you will choose to donate 5 percent of your profits during the month of December to the charity. Or perhaps you set up a cash donation collection at the register or collect food donations in a box at your business. Consider offering customers a 20 percent discount if they provide a receipt from their own donation to the charity. Whatever you choose, promote your efforts through advertising, social media and a press release. 6. Offer holiday discounts. This one is pretty intuitive, but consider offering larger discounts and special deals for a limited amount of time in order to drive a sense of urgency. For example, you might offer free shipping for all orders on a particular day, or an extra 20 percent off for a limited time. • Decorate your business. Stimulate the senses with warm fall and winter colors, the smell of pine trees and the glow of holiday lights. Ask your employees to help and get them in the spirit as well. Consider offering hot cider or coffee to your customers who come in from the chilly outdoors. • Remember the true meaning of the holidays. If your employees have small children, record them on video saying what they believe the holiday is all about. Share the video on your company’s social media channels and spread the good cheer. • Create a holiday hashtag. The hashtag should be something that makes people want to participate on social media. Something as simple as #ImGratefulFor during the holidays can be a form of engagement with your customers and potential customers. If possible, include your brand name to stay top of mind. • Beef up your social media. The trick is not to “do social media” but to engage with your community and your customers. Think about what works best on each channel. Evoke emotional reactions through photographs and post them to Instagram. Share industry news and quick snippets of information on Twitter. Facebook is where people go for distraction, so you’ll want to post engaging news, updates and photos that your followers will want to share with their friends. Several years ago, OfficeMax launched its “Elf Yourself” campaign, using users’ Facebook profile photos and inserting them into a video of dancing elves. Whatever you choose, minimize the hard sell—be subtle. The important thing to remember about the holidays is that it is a joyful time of year. You need to engage with your customers on an emotional level in order to build a relationship. Choose the suggestions that work for your business and you’ll reap the rewards in no time. Denise Vargas is a marketing account executive at CMA with more than 15 years of successfully branding and marketing national and international brands. Looking to develop a results-driven marketing campaign for your business? CMA can help! Contact us at 800-852-4269 or email us at info@cmasolutions.com.